Should we make our kids happy? It's an age-old question, but the answer has always been the same! It's a big old "NO". Of course, we all want happy, well-adjusted kids, but they don't get that way by us catering to their every whim. Far from it! Limits are necessary, but even those can be applied with great love. Parent like you mean it, but you don't have to be mean! It's one of our mottos around here! This is the song I used to sing to my kiddos when they were fussy as infants. I've been thinking about that song as of late, which leads me to the idea of making our kids happy. It's not our job as parents to make our kids happy! 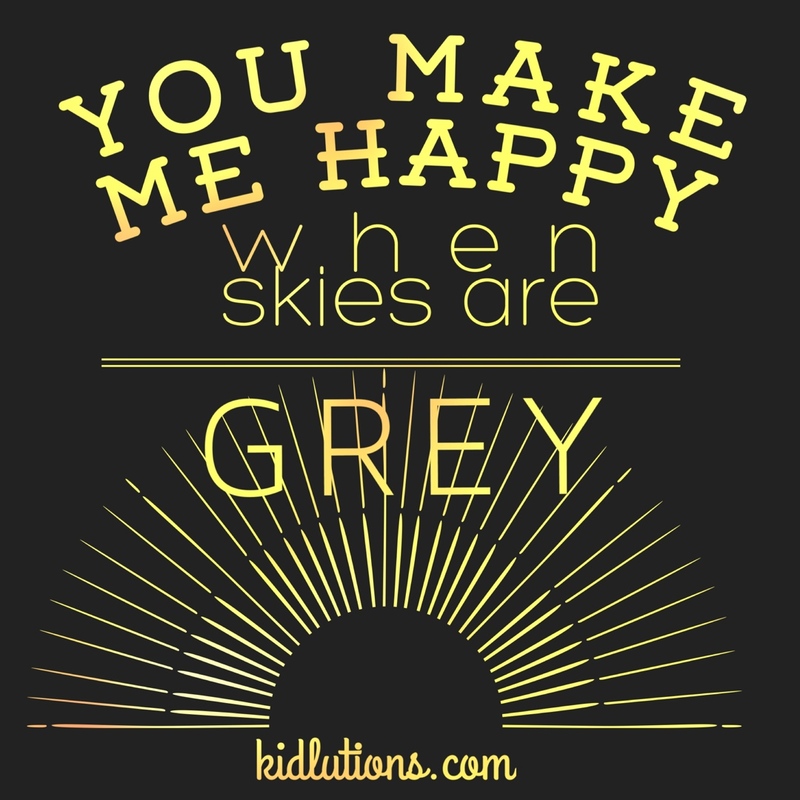 Honestly, our kids (and we) would be so much better off if we taught them how to reach for their own happiness! We can do this by helping them learn to live with life's disappointments, calm down, how to handle big feelings of upset and how to roll with the changing tides. These are the things that will help determine our kids' success in life. There are opportunities for these little lessons in life every day! They come disguised as tantrums, sibling rivalry, sassing and disrespect. YES! Those are all opportunities to teach our kids a better way to live. I couldn't be more serious. Teach your kids the skills they need to navigate relationships, handle conflicts and to compromise. Teach them grace, humility, honesty and honor. Help them learn to be responsible, giving, generous and kind. Help them learn to say "I'm sorry" and really mean it, and to forgive, so they can be free to live a happy, rewarding life. Our kids aren't happy because of what we give them. They're happy because of what we teach them. YES! We can ALL do this for our kids. If you need resources to help you help your kids navigate the trickier, more challenging things in life...find help in our little store of digital downloads.